"We are a bike fitting studio that sells bikes, we're not a bike shop that does bike fitting." 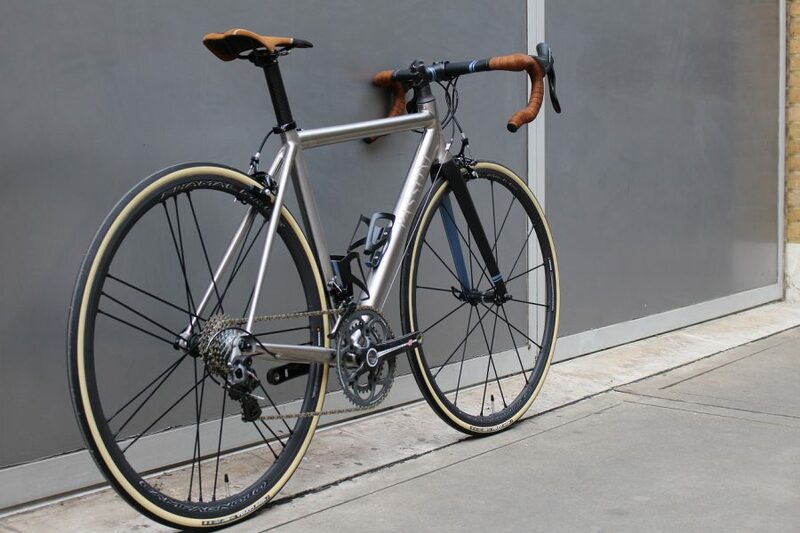 Professional, modern bike fitting originated with custom bicycle frame builders like Serotta back in the 1980's and 90's, when all of the best bikes were hand made from steel. 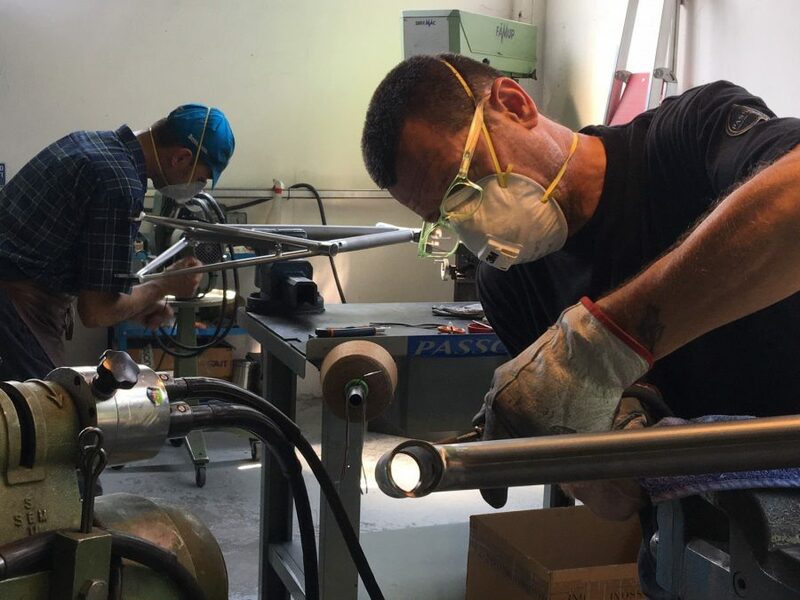 We learnt our trade from Ben Serotta of Serotta Bicycles back in 2001 at the Saratoga Springs based factory, where Ben built some of the world's best custom frames from steel, titanium and carbon. The Serotta Fit School's bike fitting instructors went on to found and work with Retul, Specialized, Trek and Guru, the rest you could say is history. 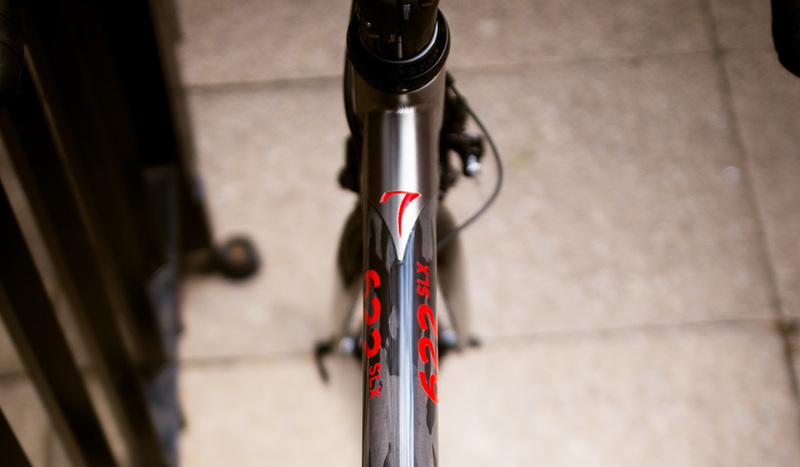 For the past sixteen years we have adhered to the very well grounded and successful theory that every bike we sell (stock or custom) should be preceded by a thorough Cyclefit. 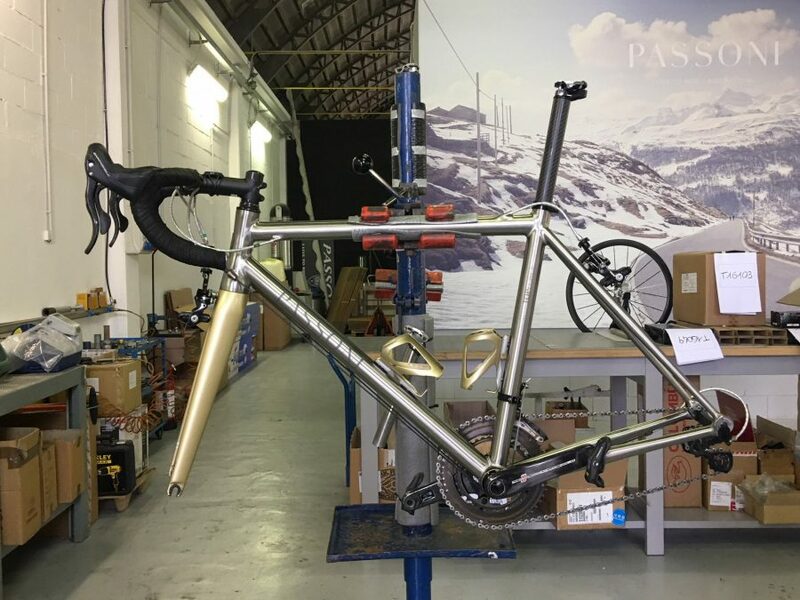 We are leaders in the world of bike fitting and can ensure that any rider we see is set up correctly on their existing 'stock' bicycle, but our speciality is the design and building of custom bicycles. Custom building a bicycle around an individual cyclist enables us work at our highest possible level. We put every client and their cycling dream at the heart of every project. Our custom clients are consistently our happiest clients. Their bikes never, ever date, even after 100,000 miles. The seven steps below describe how we design and build you a custom bicycle. "Our custom clients are consistently our happiest clients. Their bikes never, ever date, even after 100,000 miles." If you are unable to visit Cyclefit we offer a remote service using your current bike fitting data and bike measurements to design you a custom frame or we can select a stock geometry and component sizes that match your existing bicycle. This also means that we can build you a bike or supply a frameset from our other brands: Trek, Open and 3T. The Cyclefit appointment isn’t only about measurements its where we get to know you and learn more about your riding, after the interview and physical assessment we have important information that helps us set up your most efficient and comfortable riding position on the Fit Bike. We are observing and measuring how you interact with the pedals, the saddle and the handlebars – points in space, how your body moves, under different resistances and in different positions on the handlebars. We customise your shoes and adjust your cleats so you can pedal better, and coach your posture on the bike so that your body will be balanced over the pedals to optimise muscle activation and confidence inspiring bike handling. Using the measurements from the Fit Bike and the XY co-ordinates (these are the measurements that relate the bottom bracket to the saddle and handlebars) we can design your frame, but first we find out the kind of riding you like to do and want to do in the future, we can then select the appropriate model from Passoni or Seven selecting the finish and paint colours. We walk you through the many component choices and wheel options matching the equipment to the frame and selecting the correct length stem, bars and cranks to balance your ride; fast handling and racy or more stable on descents, whichever you prefer or anywhere in between. 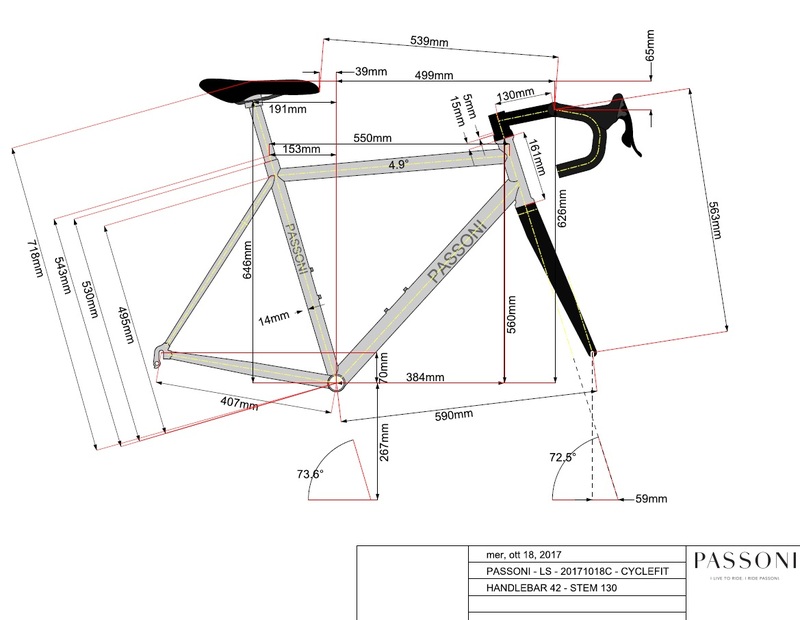 We send the initial frame design and finish details to your chosen frame builder and liaise with their designers, fine tuning the tube specification for suppleness and stiffness. The tubing used is based on your weight and how supple you would like it to feel on the road. A few days later we receive the confirmed frame design from Seven or Passoni with the detailed geometry, tube specification and frame finish. we double check everything and once you are happy with everything we place your order in to the build queue. Now it’s time for the craftsmen and women at Seven and Passoni do their work. The current lead times are eight weeks unpainted and twelve weeks for a painted from Seven and twelve weeks from Passoni. Each frame is a one-off and built by hand in Italy or the USA there can be variations in lead times. Your frame arrives at Cyclefit and we assemble your bike with the components you have chosen; if you wish to collect it we will make you another appointment at your convenience. Your new bike is put on the indoor trainer so you get to try out the gears and we show you how they work and we can make any final adjustments to the position. if you are unable to make it to Cyclefit we can ship your frame with our specialist carrier to anywhere in the world. This is the moment you have been waiting for the opportunity to ride your bicycle on your favourite roads. To make sure everything is as it should be we offer a free first service after one month and can combine this will a position check should anything not feel as it should. 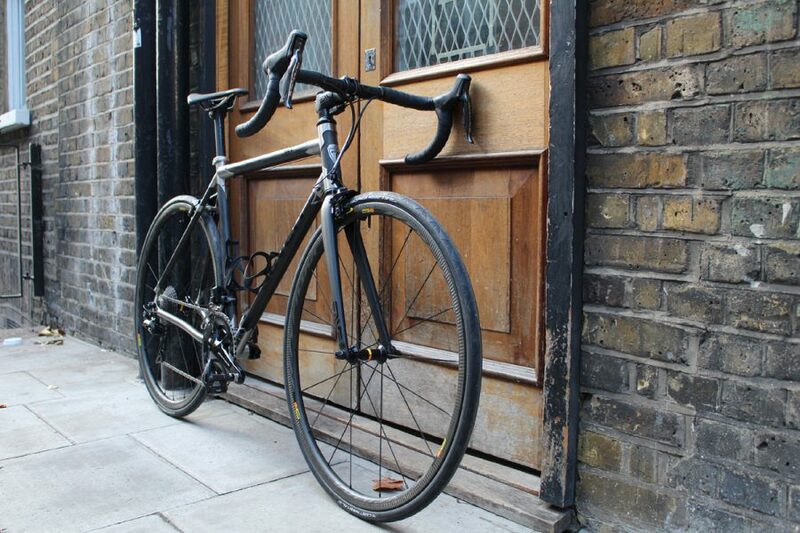 Our Covent Garden based specialist workshop will service and look after your bicycle. Are current road frame geometries outdated?